A good life is made up of great experiences. Great experiences have many parts. For years I ran a website where people could make bucket lists of unforgettable life experiences and check them off. Going to the world's biggest tomato fight in Spain, La Tomatina, was a big goal and turned out to be one of the best days of my life. Start with what interests you. What are you curious about? Who do you want to meet or discover first-hand? What will you look back on fondly from your front-porch rocker? Think of your travel and learning goals. Do you want to visit Europe? Learn another language? Shop for your favorite things in the country where they're made? Live abroad with your kids? Prepare yourself for a job? For the most part, you can do and learn whatever you want close to home. But when you look at your overall goals, you'll start to connect the dots and rationalize bigger, more memorable adventures like learning the Tango in Argentina while researching restaurant ideas. Combine your goals. The cost of flying to France to harvest sea salt or to Thailand to learn Thai cooking suddenly seems a lot more reasonable when you're also researching suppliers for a new business, writing a book (as I did) or celebrating a milestone birthday at the same time. Sign up for my FoodStarter newsletter or tap into my brainstorm service to plan your own food bucket list and connect the dots to an epic life. 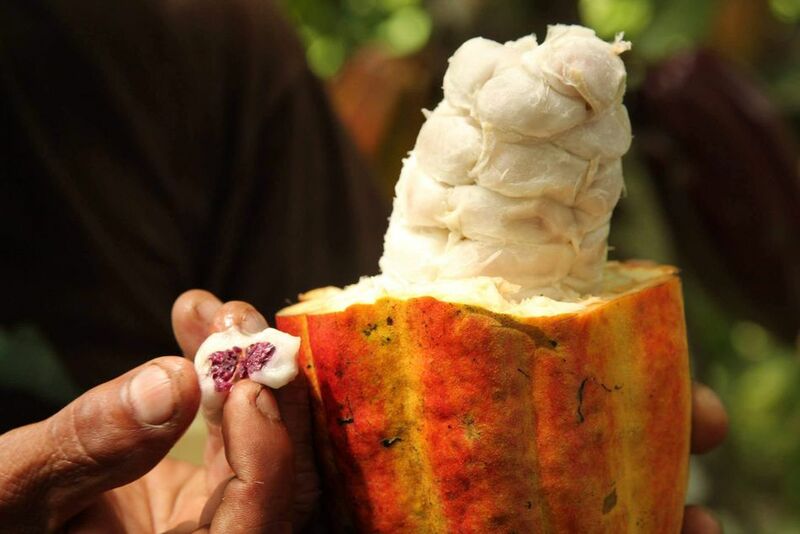 There is no shortage of trips to cacao "origin," which is the term for the place key ingredients come from. San Francisco's Dandelion Chocolate started from scratch just a few years ago and now lands multiple bean-to-bar chocolate awards and raves from the press. They've started a series of chocolate tours to Belize where you can see where cacao grows, make chocolate and discover many other aspects of this tropical country where so many interesting foods grow — and where you can dive, snorkel and relax. A second chocolate adventure tour: Roni-Sue, popular New York chocolatier, who has partnered with Belize's MOHO Chocolate which makes an exclusive 60% dark chocolate for Roni-Sue. She has also designed a week-long Belize bucket list chocolate adventure that includes a private factory tour with MOHO along with ample tasting and conversation. Belize is paradise. Whether you are a chocolate fanatic, need an excuse to go to Belize where you can enjoy diving and other tropical delights, these are trips you won't forget. For a lot less than the price of cooking school you can learn to make your favorite Italian foods — in Italy. Sean Timberlake, preservation expert and food writer, brings you an unforgettable Italian culinary experience where you live and breathe the food culture of Emilia-Romagna including hands-on cooking classes. Work with a local norcino, or hog butcher, to transform a freshly slaughtered pig into a wide variety of salumi. Make hand-rolled pasta with the hotel's sfoglina, or pasta maker. A tour of Parma and Modena to discover the secrets of Parmigiano-Reggiano, prosciutto and balsamico. Sean has given me personal reports of his trips, and they always seem to exceed the wildest expectations in fun and learning. While in Italy, visit all of the classic sights and museums, drink limoncello in Amalfi...and who knows what else! Terranea is an oceanfront resort and culinary destination in Los Angeles where Executive Chef Bernard Ibarra brings farm-to-table to a whole new level with initiatives using locally and sustainably grown and foraged ingredients. At the Sea Salt Conservatory, Chef Bernard produces and gathers sea salt in salt beds with water from the Pacific Ocean along the property. Chef Bernard also tends to four hives of over 120,000 bees that produce 160 pounds of honey each year which is incorporated into Terranea's dining experiences. a Catalina View Gardens tour; a sommelier-led wine tasting and much more. A staycation doesn't get much more tasty or interactive! While in Los Angeles, there's always Disneyland, award-winning restaurants and the beach to optimize your experience. Mushrooms, wine and a firey volano all in one night. On Hawaii's Big Island, KapohoKine Adventures' tour starts at local farm Hamakua Mushrooms where even the mushroom food is grown and harvested locally from nearby eucalyptus trees. Then at the Volcano Winery, you'll get a behind-the-scene look at the tropical fruit grown to create the specialty Hawaiian wines and teas. Next is dinner at the Volcano House restaurant where you will dine overlooking Halemaumau crater followed by a tour of Hawaii Volcanoes National Park including seeing the crater's red glow at sunset. While in Hawaii, you could check out local sea salt and vanilla, visit other islands, learn to surf and even visit a chocolate maker and learn how to make chocolate on Oahu. Envision a dream life in food at Blackberry Farm in Tennessee. At the 2016 Good Food Awards, Blackberry Farm took home awards for preserves, cheese and more. This incredible resort in Tennessee is so much more than an incredible hotel and farm where you dine in a historic barn. They make beer. They make bath products. And Blackberry Farm is known for its cooking lessons. In short, they have something for everyone. Particularly if you are thinking of starting a farm or food business, Blackberry Farm could kind of be that perfect place to crystalize your vision. What else can you do in Tennessee? Can you say "Elvis" and Memphis barbeque? The Bonnaroo music festival is a big deal that you could time with a stay on the farm. And so much more. A life well lived come from optimizing, or maximizing, experiences. You can learn about farming and choose a career by volunteering at an organic farm anywhere in the world, through WWOOF. When I offered to deliver produce for a farmer to a local supermarket, I discovered how hard farms have it, needing to deliver only within certain hours, rain or shine. Every experience is a learning experience. A great life, in the end, is all about connecting with the people and experiences that will feed you. Please get in touch or tweet @susiewyshak if you want to connect the dots to optimize your life and business.